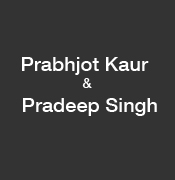 Profile of the victim : Prabhjot Kaur and Pradeep Singh, both were of Class 12 students, and hailed from Ferozepur district. Pradeep singh had left his first wife and also has a child. He married his wife’s niece Prabhjot Kaur. The accused : Five Unidentified persons. Assassination : It has been reported that the victims Prabhjot Kaur and Pradeep Singh from Ferozepur, both students of Class 12 were shot dead by five unidentified gunmen, when they arrived at a local school in Amritsar for their board examinations. The killers fled the spot after the murder and snatched the carbine of a security guard accompanying the couple. The victims were provided police protection on the orders of the Punjab and Haryana High Court after their marriage.